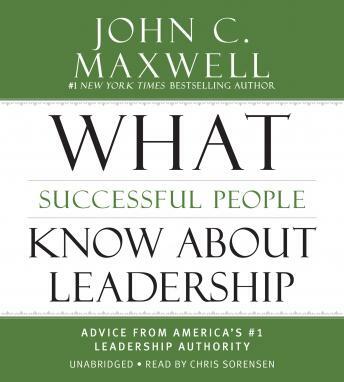 #1 New York Times bestselling author John C. Maxwell responds to the most popular questions he's received to help listeners achieve greater success. · How can you be a leader if you're at the bottom? No matter whether you're a seasoned leader or wanting to take the first steps into leadership, this audiobook will provide helpful and applicable advice and improve your professional life. A quick one to be used as a good foundation for developing leadership skills. I always go back to it for reference. The narrator is clear and legible, the voice doesn't fit for me but that's not his fault and doesn't take away from the message. Great information for leaders or aspiring leaders.